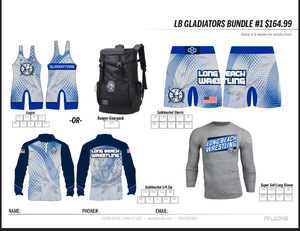 We are very happy to inform you that this year's Long Beach wrestling program will order their gear once again through Rudis. In order for us to get our uniforms on time, we need you t​​o please put your order in ASAP. We have learned through the years that one of the main reasons why we don't get gear on time is because we take too long to place the order. Please fill out the form with size orders and hand it in to me at practice in an envelope with a check made out to LB-USA Wrestling Club. The parents will have an opportunity to order gear as well. 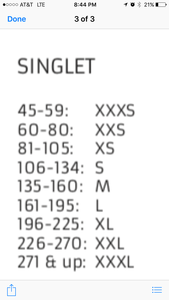 If your wrestler needs a singlet for any tournaments prior to them getting their own,we will provide them with a team singlet. file://lb.tld/Homes/Teacher/avaaler/Downloads/LongBeach-AlacarteOrderForm-2018-1.pdf LongBeach-AlacarteOrderForm-2018-1.pdf Please see me if you have any questions. There is a open scale everyday at practice if you want to check your weight.